Practical issues arising from the initial set of schools have highlighted how poor the policy development, authorisation and implementation processes have been. The charter school initiative is driven by the ideology of those who believe that a market-based, privatised system is inherently superior to an education system based primarily – but not exclusively – on public provision. But it’s abundantly clear that the market model just doesn’t work in education. The overseas evidence bears this out. 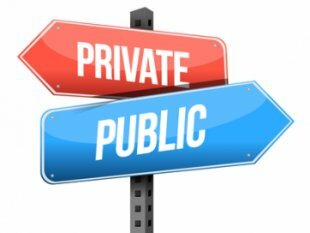 The CREDO studies of charter school versus public school performance in the USA are often cited by charter school advocates as proof that their system is superior. But the true position is far from clear. The 2013 CREDO study reveals that 75 per cent of charter schools either underperform or are not significantly different in reading from public schools, while the corresponding figure for maths is 71 per cent underperforming or not significantly different. But, more importantly, the CREDO studies make it clear that charter school performance varies widely. This means there are examples right across the spectrum of charter schools that illustrate educational excellence right down to those that are simply incompetent and even downright fraudulent. So, my take on this is straightforward: changing the structure and organisational types of school within your school system will do nothing to materially impact on overall student achievement. It is this stark reality that really underpins the experience seen in New Zealand over the past year. Charter schools will not succeed just because they are charter schools. They will exhibit the same range of outcomes and experiences – good and bad – as all types of school ultimately do. So, why are we doing this, just because someone thought it was a good idea? The poor policy and authorisation processes and the individuals responsible for them are at fault here – not the poor souls who have been dropped in at the deep end of the pool. The original NZ Model of Charter School Working Group, headed by former ACT Party President Catherine Isaac, never produced any reports, advice or recommendations to its sponsoring Ministers, as required by its Terms of Reference. The Ministry of Education confirmed this in response to an Official Information Act request, when I asked to see the Working Group’s output. The result of this omission is the lack of any definitive statement as to what this initiative really is, what evidence it is based on and how it is likely to make a genuine difference. 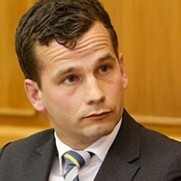 One obvious example of this confusion is the stance taken by Catherine Isaac on Radio New Zealand late last year, that charter schools are really about “alternative education” for high risk students, while ACT MP David Seymour is busy running around arguing that every school in New Zealand should convert to charter school status! This lack of clear policy direction has created many design and implementation problems. If we were really doing “alternative education” then wouldn’t we need the strongest and most capable teachers who were able and willing to go out on a limb and to take risks? Why then was the Education Act amended to expressly allow non-registered teachers in charter schools, when all other types of school in the system require all teachers to be registered? What criteria were to be used in deciding which schools were to be authorised? How was someone like Catherine Isaac ever going to be able to assess the educational merit of charter school applicants, given her complete lack of knowledge in that field? How would the new schools be resourced, funded and supported to carry out their demanding challenge? And how would this funding and support compare to the three other “types” of school already in the New Zealand system, including other “schools of choice”, which we call State-Integrated? There are numerous other questions that are likely to go unanswered as the experiment unfolds, but at the heart of the matter lies the failure to state clearly what we are really doing and why. Perhaps if our education policy makers and leaders focused on the true realities of the challenges our education system faces, we could at least begin the dialogue of how we need to go forward together. But honesty and humility are not the natural characteristics of such people. It is inherently easier to hide behind ideology and blame everyone else for “system failure”. Bill is a parent and former school trustee who writes for the Save Our Schools NZ education blog site. The original article can be found here and is reproduced with the consent of Education HQ. The Ministry of Education has produced a brochure that attempts to explain “Partnership Schools” funding. Unfortunately, it does a good job of highlighting the problems, rather than answering the real questions. In particular, their worked examples reverse out the most troublesome items and then proudly claim that this explains the “facts”. Parents are not going to make comparisons with notional Ministry of Education worked examples. They are going to compare the effect of the actual funding Partnership Schools receive with the schools that already exist in their local areas. For example, the primary school worked example seems to be the Rise Up Academy, based in Mangere. This is compared to a Decile 3 State school in an unknown location with a roll of only 44 students. Furthermore, it appears that the secondary school chosen in the brochure worked example is Paraoa, with a projected maximum roll of 300 (although its roll this year did not exceed 53). This is the largest of the maximum rolls of the first five Partnership Schools, so this helps the illustration look better by spreading the fixed costs over the highest number of projected students. In the short term, Sponsors seem to have used the excess funding they have received to provide more teachers and other perks, such as free uniforms and free stationery. Creating smaller class sizes has been a feature of the initial batch of schools and even the Education Review Office has commented on this point. But this cannot persist in the long term. If the Ministry assertion that costs will equalize over time proves correct, then staffing ratios should become more consistent between types of school. But if they persist, it could signify that the Partnership Schools are permanently overfunded. Our full analysis of the brochure is detailed below. The brochure itself is available here. Why are Partnership Schools fully funded by the State, when they are schools of choice? Why is their funding model inconsistent with other types of school, such as Catholic schools? If parents choose to enrol their children at a Catholic school, for example, then that school is funded for operational grants and the same teacher staffing entitlement as an equivalent State school. These are the two largest costs, by far, of providing education. But when the Private Schools Conditional Integration Act 1975 went through, it was made clear that the State would pay for those students’ education but would not be responsible for the schools’ assets, which remain the property of the Proprietors. Why are Partnership School assets, which are owned by a private sector Sponsor, paid for by the State? Issue 2: Is the funding model consistent with the original National / ACT Party Agreement? This statement raises two questions: how much private capital is invested and at risk in the new schools? And how would be the “equivalent” funding to cover rental costs be determined? What does “much the same” mean? As the brochure quite rightly points out, “Funding for all schools, even those of a similar size and decile, varies.” No two schools will ever be identical for all sorts of reasons. Fair enough. So, how was the “equivalence” funding model determined and what assumptions were used? What would be the implications if the actual outcomes were different from those assumed in the model? “The Crown believes funding Partnership Schools on the basis of “Cash for Buildings” provides equivalence with the property support for State schools where property is leased. The following table provides indicative amounts of property funding for Partnership Schools based on Cash for Buildings model. The amounts below are indicative only and subject to change. And therein lies the key problem: the equivalence approach is based on two key assumptions: the school moves within a few years towards its maximum roll and that the costs it will incur are similar to those of equivalent state schools being funded on this particular “Cash for Buildings” model. But note the large difference between a 50 roll secondary ($209,724) and a 300 roll secondary ($745,112). The larger school is funded for this cost component at a rate that is 3.5 times the amount of the smaller school! So if the new school simply projects that it will grow, then it will be funded at a much higher rate in the short term than may ultimately prove to be necessary to cover its actual costs. Issue 4: Small schools are expensive. The brochure makes two statements about how certain costs associated with a new school mean that average funding will appear higher than in established schools; but that eventually as any new school reaches capacity, its average funding per student will fall. The economists would call this “economies of scale”. The allowance for fixed costs of this nature is called Base Funding. The Base Funding for the three Partnership secondary schools has been set at $997,044 per annum. The middle school receives $571,448 and the primary school receives $145,856 per annum. But if the schools remain small, even at their projected maximum roll levels, they will remain expensive and not achieve the same reduced average funding per student that larger schools achieve. Minister of Education, Hekia Parata, is on record in parliament acknowledging that small schools are expensive. Issue 5: Then why create more small schools? Why are we creating new schools at all, given that many of the new Partnership Schools are not in areas of roll growth? This is also inconsistent with Treasury’s advice to the incoming government in 2011, which advised the government to “rationalise the school network”! New partnership schools in 2014 have been created in South Auckland (South Auckland Middle School and Rise Up Academy) Albany (Vanguard Military School) and in Whangarei (Paraoa). The four schools proposed for 2015 will be in South Auckland (Pacific Advance Senior School and Waatea), West Auckland (Middle School West Auckland) and Teina, a sister primary school in Whangarei for the Paraoa secondary school. That makes a total of 8 schools that are, in reality, in areas where schools already exist. Why, therefore, is the State using a funding model which is seeking to fund these new schools on an equivalent basis to that used to create new State schools, when there is existing capacity in the school network? What has been the actual experience so far with the schools’ rolls? Based on actual roll experience, three schools were funded during the course of the 2014 year on a “Guaranteed Minimum Roll” number of students that was greater than their actual roll returns ever recorded. What evidence is there that the Partnership schools’ rolls are consistent with the projections and assumptions underlying their funding model? In particular, the Ministry comment that “the amounts above may alter if a school is not proposing to reach its maximum roll in the first few years…” is certainly relevant here. How were the “Guaranteed Minimum Rolls” determined for the 2014 year? What, if any, changes are to be implemented by the Ministry in the procedures used to determine the Guaranteed Minimum Roll for any new schools in the future? At what stage of their development will the secondary schools be subject to the same funding reduction regime that now applies to the funding for State and State-Integrated secondary schools, where funding is reduced during the course of a year if the school’s actual roll falls?